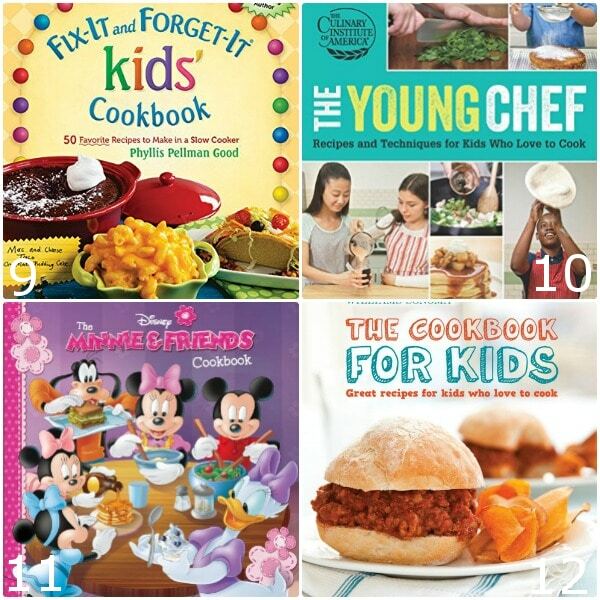 24 top Cookbooks for Kids to get your kids busy in the kitchen and spend quality time with them while teaching them a valuable life skill. 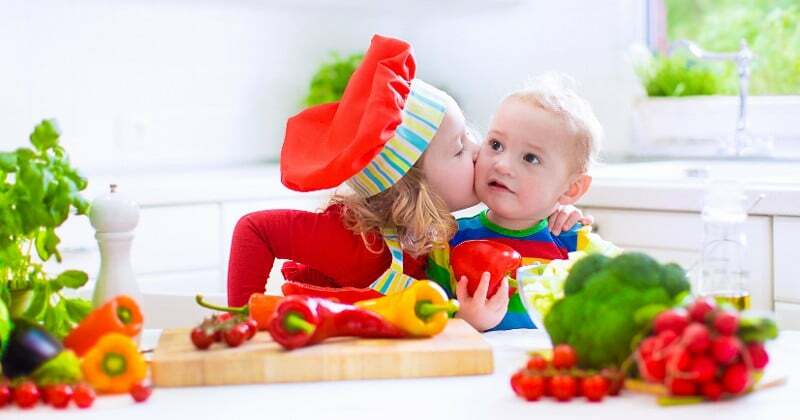 Cooking with kids is a fun activity for the whole family to enjoy together! If you’ve been around here for any amount of time, you’ll know I’m a total foodie. Baking is such a stress reliever for me. Mr. Gracious can always tell if it’s been a bad week by the amount of cookies and baked goods that have been baked. Thankfully, my children love to bake with me, and it’s totally fun to have the kids interested in one of my passions. They love cracking eggs, dumping ingredients, and stirring. 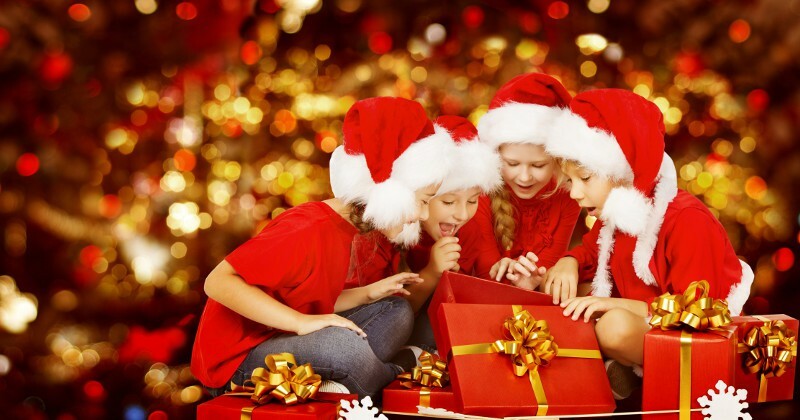 (You can check out more safe and fun ways to get the kids involved in the kitchen HERE). Anyway, I’ve been trying to think of some Christmas gift ideas for the kiddos (yes, I know it’s only October, but I like to be prepared! 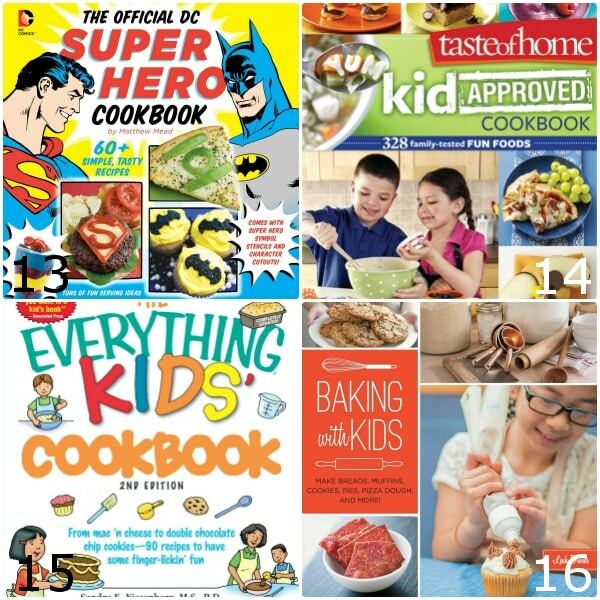 ), and I thought some cookbooks for kids with maybe cute aprons and a little baking or cooking utensil set would be a super fun idea that all three of them would enjoy. So I started researching, thinking they would be hard to find, but oh.em.gee! There’s so many out there it’s hard to decide! 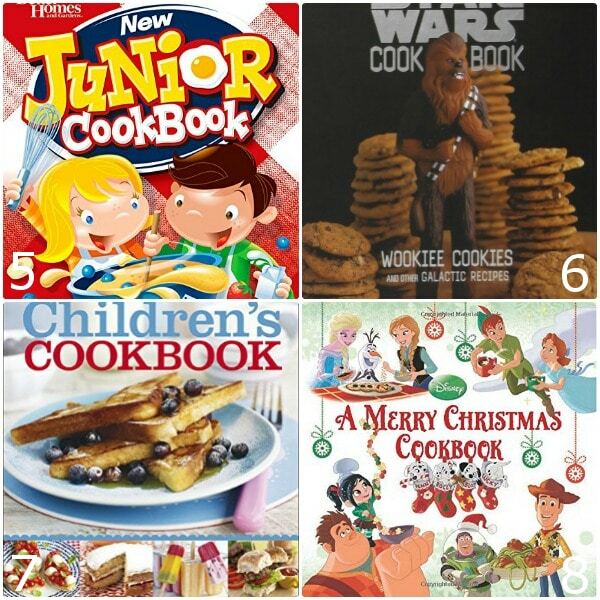 And all the kids’ cookbooks were so cute too! 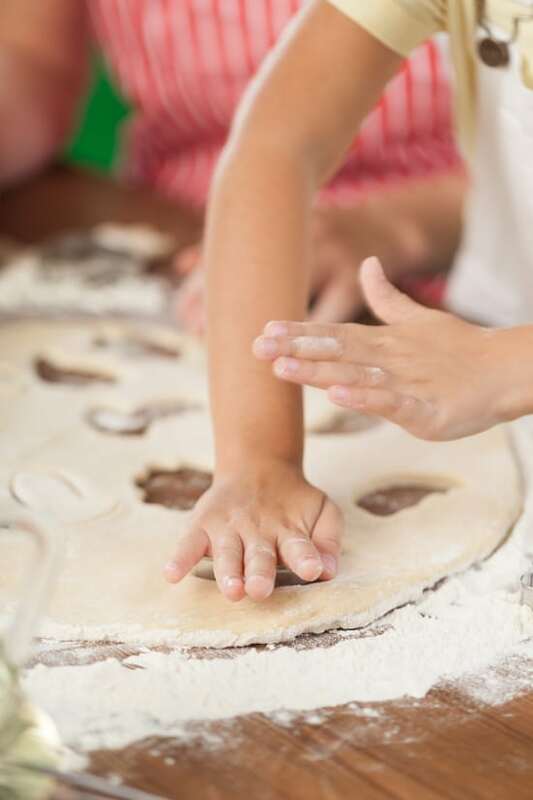 Some were just easy recipes for kids, some were more geared toward classic kids’ favorites, and some were even themed, like Star Wars, Disney Princesses, or Harry Potter. I just got way too excited and bought way too many, but I don’t regret it one bit because I’m certain they’ll all get good use. 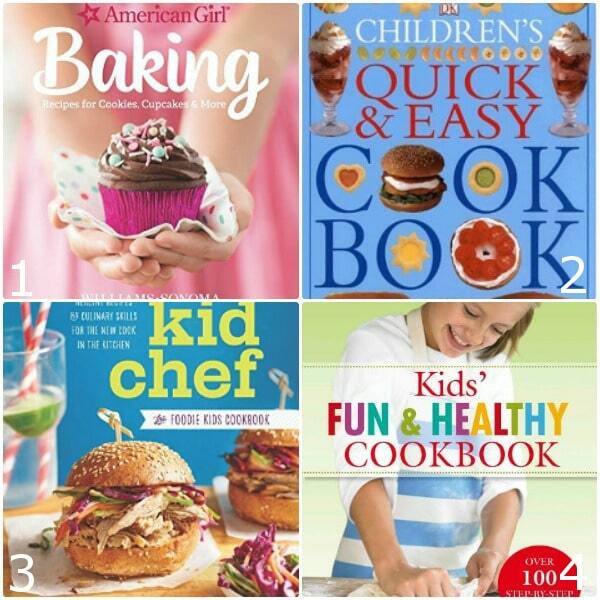 I wanted to share my favorite cookbooks for kids with you in case you’re on the hunt too! 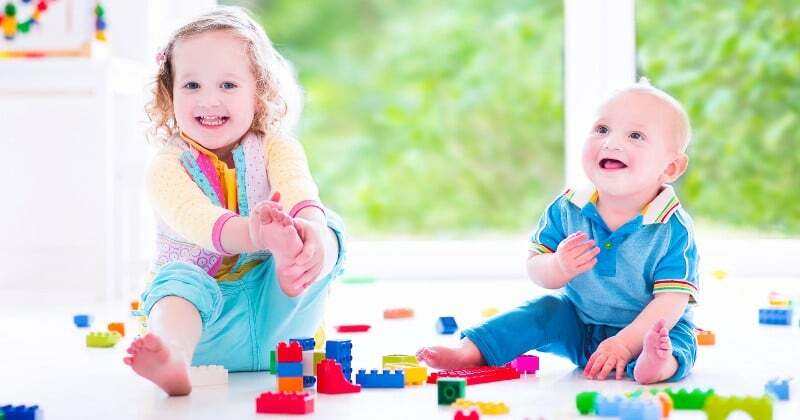 Which one do you think your kiddo will love? 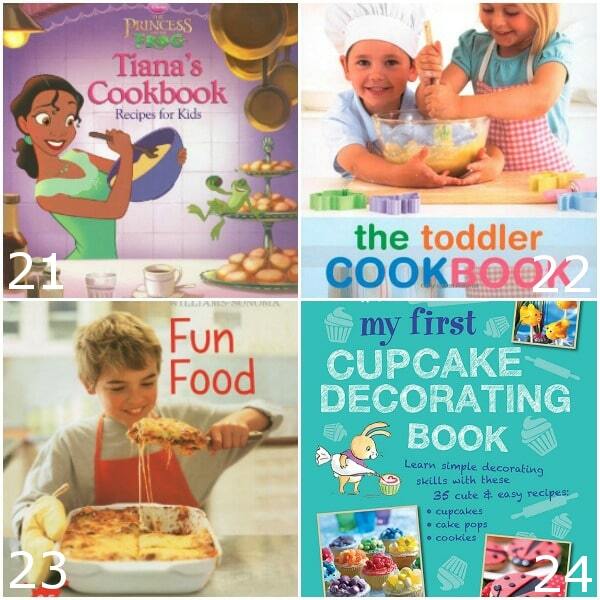 Did you like these Cookbooks for Kids? Find more on my Parenting, Kids Activities, & In the Kitchen boards on Pinterest! Love the superhero one! My boys would love that! 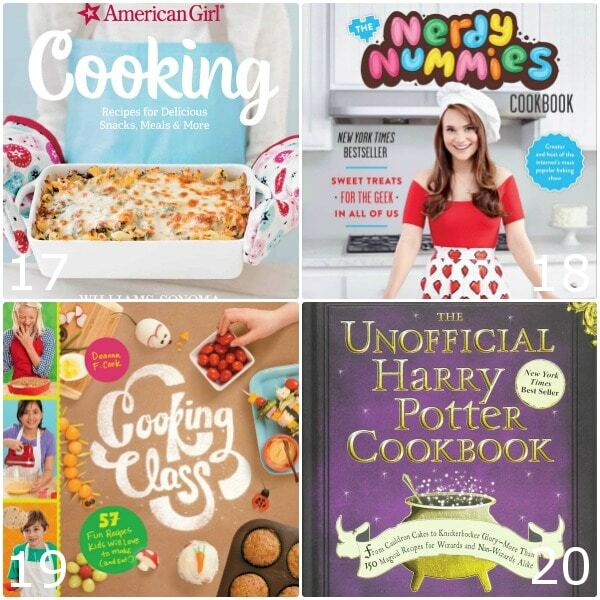 Oh, my grand daughter would love the American Girl Cookbook. Thanks for sharing at the #InspirationSpotlight Party Pinned & shared.